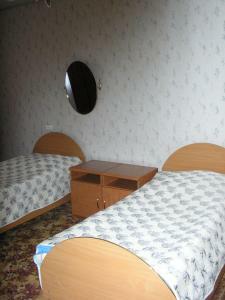 A-HOTEL.com - Luxury and cheap accommodation in Mikhaylovka, Russia. Prices and hotel, apartment booking in Mikhaylovka and surrounding. Featuring free WiFi in the lobby area and a 24-hour reception, Yugra Hotel offers air-conditioned rooms and apartments with a satellite flat-screen TV. It is located on the M5 motorway in Sukhodol, 100 km from Samara. Set in Sukhodol, Guest House Teremok offers free WiFi. Boasting a 24-hour front desk, this property also provides guests with a restaurant.